Join us for the opening of a new and very special art exhibition by local artist Tess Rock. Rock’s began her career in ceramics, attended the University of Massachusetts Amherst for environmental studies and ceramics, and eventually going on to earn her BFA in art education. She began her artistic journey with painting at a time in her life when she required a medium that let her more freely explore the inspiration she found in nature. “These works are a small representation of my last fifteen years of my painting explorations. Their origination is found in nature, discovering the abstract while exploring representational forms. My methods include cropping, magnification, and a loose interpretation of the organic. My desire is to create a journey that allows the viewer the freedom to enter each piece, exploring both color and line through their own experiences. 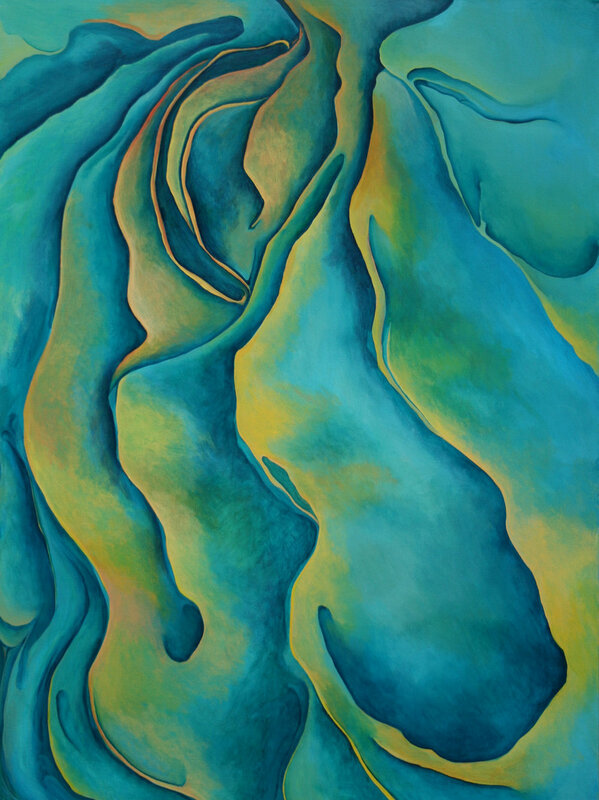 The vibrancy and fluid forms of my surroundings never cease to inspire me”. These beautiful paintings will make their CLICK debut during February Arts Night Out, where Rock will join us to celebrate the exhibit! Bar and snacks will be plentiful as always!